Amplifiers Plus is a full repair service for all the well-known guitar and bass amps out there. Rich has been repairing guitar amps since 1991. Rich is also well versed in restoring vintage guitar and bass amps, with favourites being the popular Fender and Marshall amps from the 1960s and 1970s. Amplifiers Plus is authorized for warranty repair on Fender, Marshall, VOX, Ampeg, Peavey, Blackstar, Orange, and several others. ​NEWS: Now authorized warranty repair for Matchless amps, Friedman amps and pedals, and Roland products. Also authorized warranty repair for EGNATER, B52, AND WAMPLER pedals for all of Canada. 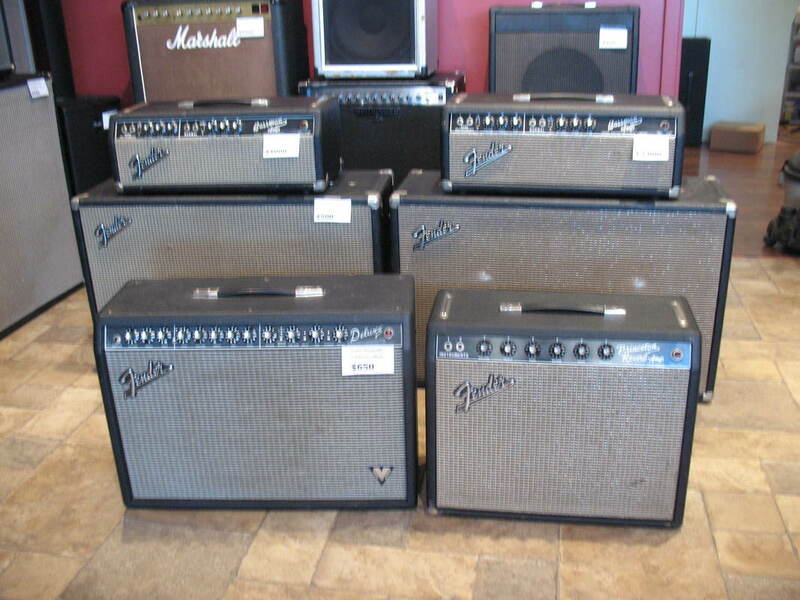 Some vintage Fender amps for sale. "NOTE; the Princeton is not for sale, just there for the nice photo."